By now, any food processor that expects to sell products through Wal-Mart Stores Inc. (www.walmartstores.com), Bentonville, Ark., has filled out the Wal-Mart Packaging Scorecard, a tool the retailer developed to evaluate package sustainability. February 1 was the scorecard’s go-live date -- the date by which all suppliers to Wal-Mart and its Sam’s Club subsidiary were to have entered their packaging data into the scorecard system. The retailer’s 2,000 private label suppliers started working with the scorecard in February 2007. By last September, more than 3,400 of the company’s suppliers were working with the scorecard and had entered more than 13,000 products into the scorecard system, said John Fleming, Wal-Mart’s chief merchandising officer, speaking at the Carbon Disclosure Project last fall. “There are suppliers of all sizes included in that number,” he added. The Wal-Mart Packaging Scorecard evaluates the sustainability of packaging based on nine dimensions. They are: greenhouse gas emissions related to production, material value, ratio of servings to packaging, cube utilization, recycled content, innovation, the amount of renewable energy used to manufacture the packaging, recovery value of the raw materials and, finally, emissions related to transporting the packaging materials. These criteria help Wal-Mart suppliers determine how their packaging innovations, environmental standards, energy efficiency and materials compare to others in their category. Each stock keeping unit (SKU) requires its own scorecard, and suppliers receive a score per package relative to competitive packages. The scorecard considers primary and secondary packaging as well as transport packaging such as pallets. The scorecard effort has been led by the Wal-Mart Packaging Sustainable Value Network (SVN), a group of more than 300 leaders in the global packaging industry. The Packaging SVN includes representatives from government, non-governmental organizations, academia and industry. “Our goal is to achieve a 5 percent reduction in overall packaging by 2013. That may not sound like a lot, but think about the multiplier effect of our more than 60,000 suppliers around the world,” Fleming told the Carbon Disclosure Project. He added, “We estimate that the impact of our packaging effort will be equal to removing 213,000 trucks from the road and saving about 324,000 tons of coal and 67 million gallons of diesel fuel per year.” The scorecard initiative is expected to keep 667,000 metric tons of carbon dioxide from entering the atmosphere and millions of pounds of trash out of landfills. The scorecard initially is going live in the U.S., to be followed by Canada and eventually the other countries in which Wal-Mart does business. Wal-Mart and the Packaging SVN have spent the past year working to perfect the scorecard, including its calculations and the assumptions and data used in the calculations. “Wal-Mart’s caveat to its suppliers is to not make any packaging changes based on a score they get on the scorecard right now, because much of the underlying scorecard data is in flux,” says Brian O’Banion, vice president of the Fibre Box Assn. (www.fibrebox.org), Elk Grove Village, Ill., and a member of the Packaging SVN’s Steering Committee. “The formulas are being refined, and new data on the environmental characteristics of various packaging substrates is being researched by third-party groups such as the EPA and non-governmental organizations,” he adds. “Figuring out which packaging changes provide the greatest sustainability impact -- and which don’t -- will be one of the big areas of interest after the scorecard goes live, I believe. Suppliers should note they can still get credit for packaging changes made before February 2008, but they won’t know the true effect on their score or its relevancy until all the SKUs in a category have been entered,” O’Banion concludes. At the Packaging SVN meeting in December, Wal-Mart announced a significant change in one of the scorecard’s core calculations. Initially, the scorecard evaluated the ratio of the amount of packaging material to the amount of product in the packaging, both measured by weight. But that approach didn’t accurately convey the sustainability of certain product/package combinations. Consider a concentrated product formulated to weigh less than a non-concentrated competitive product but which provides the same number of servings as the competitor. Under the old calculations, the product-to-package weight ratio did not reward the concentrated product for its smaller eco-footprint. “Based on the old system, that package would have received a worse score based on product/packaging ratio,” says Jeff Wooster, senior value chain manager at The Dow Chemical Co. (http://plastics.dow.com/plastics/na) in Houston. To remedy the problem, Wal-Mart replaced the product-weight metric with the Consumer Meaningful Unit of Measure (CMUM). A CMUM refers to one serving, portion or use of the product. The revised calculation measures the amount of packaging per CMUM. This modification to a key scorecard calculation “indicates the willingness of Wal-Mart to listen to input from their suppliers and their desire to get it right -- to have a system that works and does what they want it to,” Wooster says. Wal-Mart is encouraging its suppliers to work closely with packaging vendors to evaluate their packaging’s sustainability and to develop modifications that will earn them a better score. 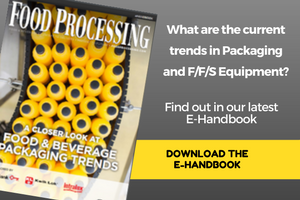 Several packaging materials vendors have programs in place, or in development, that address sustainability and help identify packaging inefficiencies and excesses. Atlanta-based Georgia-Pacific LLC (www.gp.com) offers the Packaging Systems Optimization (PSO) program, which is geared to reducing waste, lowering costs and improving sustainability across the packaging supply chain. The company recently opened up the PSO program to non-customers. PSO (www.gppso.com) evaluates a company’s entire packaging system to find areas for improvement. Results can be used to optimize nine areas of the supply chain, including package design, SKU consolidation, materials handling and distribution. The net result is greater sustainability via reduced greenhouse gas emissions and lower energy use, which in turn are the result of reductions in fiber use, transportation and warehousing. “When you match those nine PSO elements to the Wal-Mart scorecard drivers such as greenhouse gas emissions and material value, there’s a good portion of the scorecard that goes right to those nine elements,” says George D’Urso, Innovation Institute operations manager at Georgia-Pacific. In the plastic-packaging market, Dow Chemical plans to launch an automated package-sustainability evaluation system, perhaps as early as the first quarter of 2008. The system would enable companies to easily analyze and evaluate various packaging alternatives. In November, Diamond Packaging (www.diamondpkg.com), Rochester, N.Y., announced its sustainable packaging program, called the Diamond Greenbox Initiative. The initiative promotes sustainability in all aspects of package production and aims to minimize environmental impact throughout the supply chain. Diamond’s design process incorporates tools such as Wal-Mart’s Package Modeling software and ArtiosCAD for structural design. Wal-Mart, together with ECRM (www.ecrm-online.com) and ECRM corporate affiliate Thumbprint Ltd. (www.ithumbprint.com), both based in Solon, Ohio, created the Wal-Mart Stores Inc. Package Modeling software. The software, which is available on a subscription basis, enables companies to model how changes in materials and processes can improve packaging scores and reduce environmental impact. Wal-Mart’s participation in the development of modeling software demonstrates the retailer’s commitment to simplifying the scorecard process for suppliers and their packaging vendors. Sales, marketing and design executives – as well as package engineers and packaging suppliers -- interested in learning more about how to use the Wal-Mart Packaging Scorecard should check out professional training sessions such as those offered by the Sustainability Education partnership (www.sustainability-education.com), Solon, Ohio. The training sessions focus on efficiently entering packages into the scorecard system, performing scorecard calculations and improving package scores — and also offer a behind-the-scenes glimpse at how Wal-Mart uses the scorecard system. Remove Packaging: Eliminate unnecessary packaging such as extra boxes or layers. Reduce Packaging: Right-size packages and optimize material strength. Reuse Packaging: Choose reusable pallets and plastic containers. Renewable Packaging: Use materials made of renewable resources; select biodegradable or compostable materials. Recyclable Packaging: Use materials made of the highest recycled content without compromising quality. Revenue: Achieve all of the above principles at cost parity or cost savings. Read: Get educated on sustainability and how we can all support it.